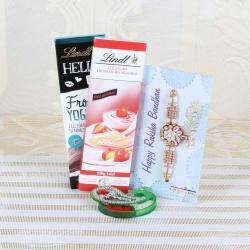 Product Consist: Mini Toblerone in a Gift Box (weight: 200 gms), Tiny pearl Beads Rakhi along with Roli Chawal. 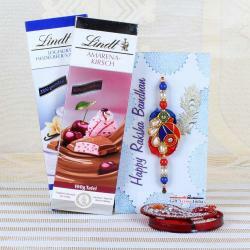 Rakhi is a most memorable event for all brothers and sisters. Raksha Bandhan comes once in a year which brings happiness. Mini Toblerone Chocolate with Tiny Pearl Rakhi is the right one to signify unbreakable bond between siblings. 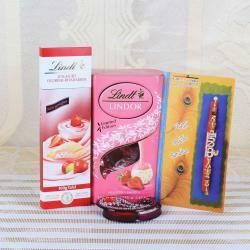 The combo pack is made with traditional sweets and rakhi. 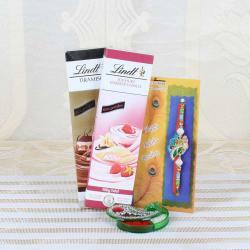 A sister ties rakhi on the waist of her brother and gifts with sweets. On this festival sending an innovative rakhi is a very good idea. With the collection of gifts, if you choose this pack it makes a luxurious moment in your life. Make sure to buy this box for this celebration. 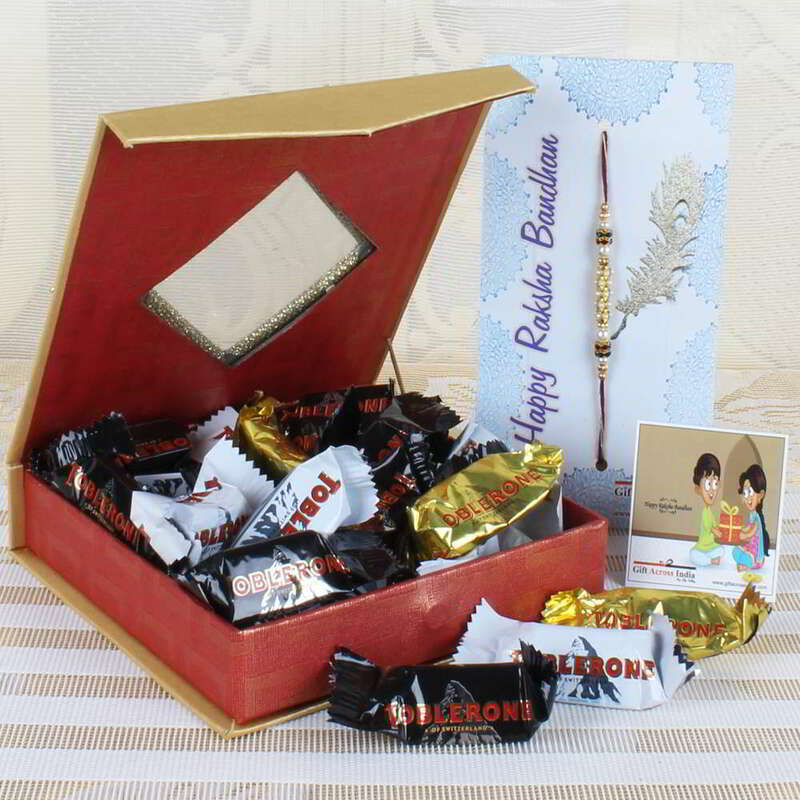 Product Consists of: Mini Toblerone in a Gift Box (weight: 200 gms), Tiny pearl Beads Rakhi along with Roli Chawal.